I have been meaning to get a copy of Texts from Jae Eyre - thanks for the reminder! 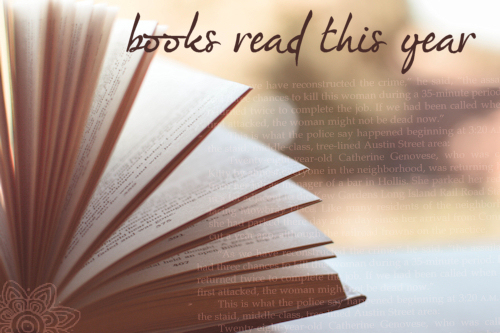 You had a lot going on this year, besides reading :) but that's an impressive list. I hope 2015 brings you lots of good books. Happy New Year Audra! You read an impressive number of books--what great titles. What a great reading year you had! Happy new year! You've read an amazing number of books! All the more amazing considering the new addition to your family. Hope that 2015 brings you many wonderful things!